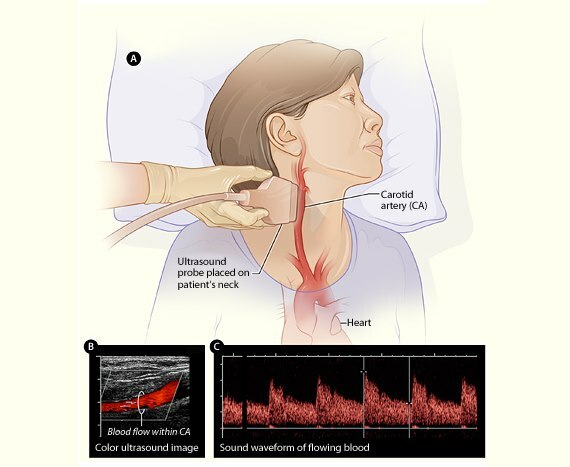 A Carotid Doppler uses sound frequency to produce images of the carotid arteries in the neck. The blood flow through these arteries is evaluated with Dopplers. Carotid Doppler studies are used to demonstrate blocked or reduced blood flow in the arteries of the neck that could cause stroke. There is no preparation for this test.